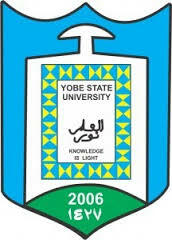 Yobe State University, YSU Commencement Date and Deadline of Central Registration Exercise for all Newly Admitted Postgraduate Students for 2018/2019 Academic Session. This is to inform all newly admitted postgraduate students of the Yobe State University, YSU that the management has announced the commencement date and deadline for the central registration for 2018/2019 academic session. Latest Update: This is to notify the supplementary admitted candidates that the registration is scheduled to start from Thursday, 21st March, 2019 and will end on Friday, 29th March, 2019 at the Postgraduate Board Room, School of Postgraduate Studies Complex. Recommended: YSU Postgraduate Admission List 2018/2019. All the newly admitted PG Students are to note that the registration is scheduled to start from Monday, 28th January, 2019 and will end on Saturday, 9th February, 2019 at the Postgraduate Board Room, School of Postgraduate Studies Complex.